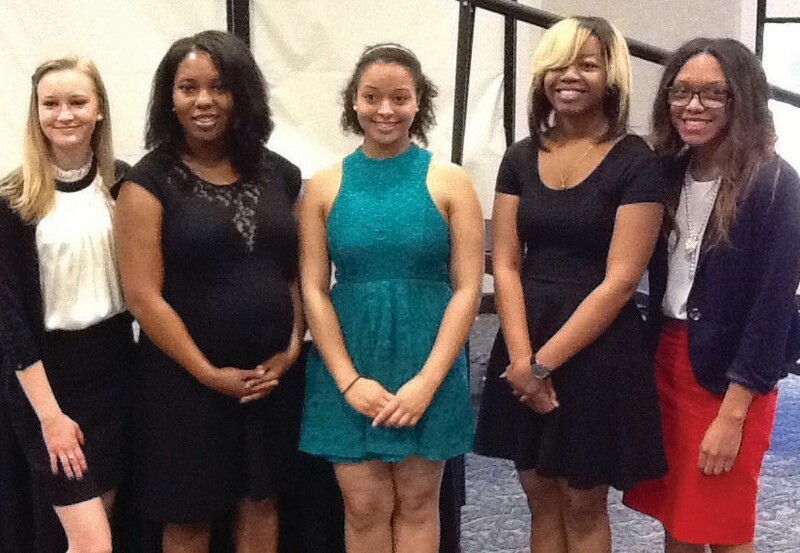 Delta Sigma Theta Sorority, Inc. – Savannah Alumnae Chapter proudly announces its 2014 scholarships recipients. Each year, Savannah Alumnae Chapter awards $6,400 in scholarships to deserving students: three Academic Scholarships in the amount of $1,600 each; one Community Service Scholarship in the amount of $800.00; and one Academic Scholarship to a non-traditional student, in the amount of $800. Recipients of the 2014 Academic Scholarships are Jaleisa Gilbert, Jadaymah Waller and Chloe Wilson. Jaleisa Gilbert is a Johnson High School graduating senior. She has 94.7 Grade Point Average. Jaleisa ( was enrolled in the International Baccalaureate Program. She has earned the University of Georgia Merit Award, and participated in the Spanish Club and National Honor Society. She was a member of the Superintendent’s Student Senate. She plans to attend Savannah College of Art and Design and major in Sound Design. Jadaymah Waller is a graduating senior at Jenkins High School. Her 98.3 Grade Point Average earned her the honor of being named the 2014 Valedictorian. She was the 2013-2014 STAR Student Nominee, a National Achievement Scholar Finalist, and an Advanced Placement Scholar with Honors. She participated in Odyssey of the Mind, the National Honor Society, theater, and volunteers with the Salvation Army and Second Harvest Food Bank. Jadaymah plans to attend Oglethorpe University and major in Civil Engineering. Chloe Wilson is a graduating senior at Johnson High School. She was an Honor Roll Student with a 90.3 GPA. Chloe was enrolled in the International Baccalaureate Diploma program and was a member of the National Honor Society, participated in Art Club, and has volunteered at Trail of Hope and for Tybee Cleanup. Chloe plans to attend Auburn University and major in Architecture. The 2014 recipient of the 2014 Community Service Scholarship is Jenny Walker, graduating senior at Islands High School. Her Grade Point Average is 93. She was a member of National Honor Society, the Superintendent’s Student Senate, and a US Senate Youth Nominee. Jenny has completed more than 170 hours of community service at Hospice, Second Harvest Food Bank, Oatland, and Maxim Health. She plans to attend Georgia College and State University and major in Pre-Medicine. Dorey Lavern Thomas is the recipient of the 2014 Non-Traditional Scholarship. Dorey is a junior at Armstrong Atlantic State University, where she is majoring in Chemistry. She has a 2.60 Grade Point Average and expects to graduate in the spring of 2015. Her future plans are to attend medical school and serve in Armed Forces. Dorey is a Certified EMT and Pre-Hospital Trauma Support Technician. She received a coin for assisting wounded soldiers. She is employed as a PCT and Aeromedical Technician. Savannah Alumnae Chapter extends sincere thanks to the entire Savannah community for its continued support of all of its activities. Proceeds from fundraising activities help to make these scholarships possible.